HomeWhat do we mean by ‘cleaning’ and ‘disinfection’? We urgently need to decide what we mean when we use the terms “clean” and “cleaning”. In the last few years, the accumulated microbiological and epidemiological data (and prolonged heated debate) has lead us to conclude that environmental surfaces need to be considered alongside hands, laundry etc so on, as part of a multibarrier approach to infection prevention and control in healthcare settings, and hygiene at home. Set against this however, our current approach of “what do we do to these surfaces to break the chain of infection transmission?” is both unscientific, and also highly misleading to the people we need to communicate with. This part of the equation is fast becoming the weak link, preventing us from maximising health benefits from infection prevention and control measures. This really hit home on reading the different contributions to the excellent 2013 AJIC supplement by Rutala and Webber which, on one hand showed just how much our thinking about environmental surface risks has developed, but in many papers “environmental cleaning” was used interchangeably with “environmental disinfection” which made it confusing to know what the writer really meant. From our IFH experience of home hygiene, we know what happens when advising consumers (or equally, hospital cleaning staff) to “clean” a surface e.g. after preparing raw poultry. They will clean until the visible dirt is gone – and we know that this is not necessarily enough. For the home, we have data showing that after cleaning kitchen surfaces with soap and water following preparation of a chicken (in the UK 60% are contaminated with Campylobacter), surfaces may LOOK squeaky clean, but the Salmonella or Campylobacter is now spread everywhere (and in numbers up to 103 or more). We have similar data for surfaces contaminated with norovirus-containing faecal matter from an infected person (for which the infectious dose may be very small). As a start, we need a term to advise/communicate “this surface needs to be cleaned to a level that breaks the chain of infection” and we currently have NO way to do this. If we accept that the term “clean” means absence of visible dirt/soil, we need a term to describe “microbiologically safe clean”, not just for consumers or hospital cleaning professionals, but also for communicating with each other as scientists. There is also another common misconception. Some people work on the basis that “clean” means visibly clean, and “microbiologically safe clean” means a chemical or thermal disinfectant has been used. But then how can we communicate that hand washing can make hand surfaces microbiologically safe” without need for a disinfectant. There is a notion that “cleaning” is hygienically inferior to disinfection – but data now shows that the log reduction by handwashing with soap can be equivalent to that achieved by alcohol handrubs if done properly, and you have access to running water. We put much effort into hand hygiene compliance, but relatively little into stressing that handwashing technique to deliver hands which are “fit for purpose” is equally important. We need to go back to the simple principles of what we are trying to achieve – namely to break the chain of onwards transmission of pathogens by treating surfaces (hands or environmental) to reduce germs to an “acceptable level” i.e. make a surface “fit for purpose”. This can be done in 2/3 ways – removing them, inactivation, or a combination of both. For the last 14 years, IFH has successfully used the word “hygienically clean” to mean “microbiolgically safe”, and “hygienic cleaning” to describe the process to achieve this – which could be soap and water with rinsing – or cleaning disinfection, or a combination of both. 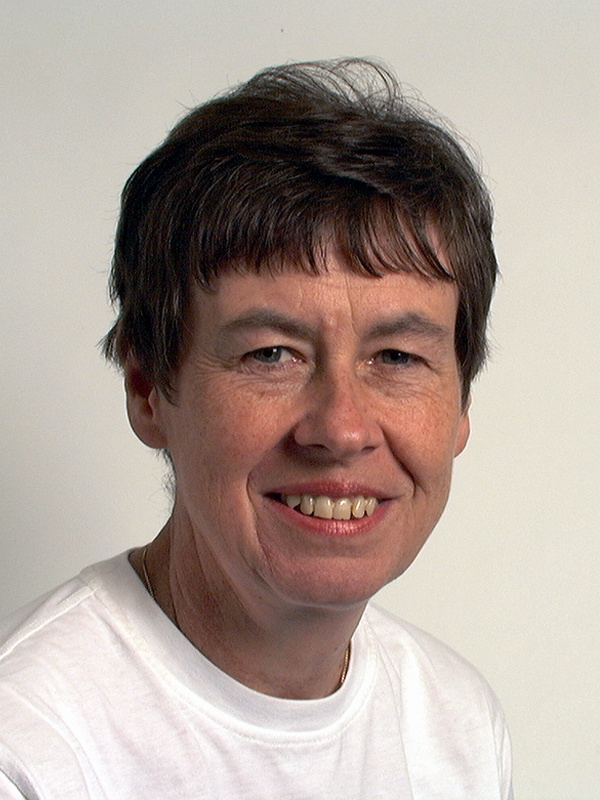 Dr Sally Bloomfield is an Honorary Professor at the London School of Hygiene and Tropical Medicine. She is also is the Chairman and Member of the Scientific Advisory Board of the International Scientific Forum on Home Hygiene (IFH). Through these roles Professor Bloomfield continues to develop her work in raising awareness of the importance of home hygiene in preventing the transmission of infectious disease, and developing and promoting home hygiene practice based on sound scientific principles. She is also working to develop understanding of “hygiene issues” such as the “hygiene hypothesis” and “antimicrobial resistance”. Professor Bloomfield’s background is in healthcare and infectious disease. She has a degree in Pharmacy, and PhD in Pharmaceutical Microbiology from the University of Nottingham. Sally was previously a Senior Lecturer in Pharmaceutical Microbiology at Kings College London (1995 – 1997) and a Hygiene Liaison manager at Unilever Research Port Sunlight UK (1997 – 2001). She has published 100 research and review papers on the subject of home hygiene and the action and mode of action role of antimicrobial agents. Thank-you Sally for such a thought-provoking blog. We already have a technically correct term to describe the process of the removal of pathogens to a safe level by physical removal or inactivation: disinfection! However, as we have discussed, this term is so closely aligned with chemical biocides that it will now not work to describe the removal of pathogens to a safe level by physical removal (‘cleaning’) only. I am not sure that ‘hygienic cleaning’ is the optimal term either; the inclusion of ‘cleaning’ in this term aligns it with the physical removal process and makes it unsuitable to describe the removal of pathogens to a safe level through inactivation. chemicals) and therefore may apply to cleaning or disinfection.’ So, there is already precedent for using ‘decontamination’ in this way. I agree that we need a term to describe the removal of pathogens from surfaces by cleaning and / or disinfection, and I propose ‘decontamination’ as this term! A great commentary on this critical area of healthcare (and other arenas, such as community settings like rec centers/gyms,bwhere we know pathogens such as MRSA have been documented). I have always tried to talk about the difference between “microbially clean” versus “clean” when I discuss this topic with future nursing and medical laboratory science students that I teach, as well as with the general public and my colleagues. It’s a common misunderstanding by both professionals (including the medical arena) and in the community. I started my career as an OSHA Official and the National Bloodborne Pathogens Coordinator for the agency during the uptake of the Needlestick Safety and Prevention Act into the Bloodborne Pathogens Standard and was always displeased with the lack of consensus between US OSHA and US CDC. With regard to hand hygiene specifically, OSHA requires washing with soap and running water after any event with potential exposure to blood, body fluids, or OPIM. CDC recommends washing with soap and running water only if hands are visibly soiled. This means for gloved hands, as well. As a former industrial hygienist, I’m proud of OSHA for being more protective for workers than CDC. As a breast cancer survivor, I’m not so proud of CDC for being less protective for me as a patient. We must do more. Engineering controls landing on the market do have potential to over-ride poor human choices, differences in definitions, and lack of federal agency consensus. Science is awesome. I just posted a comment on LinkedIn prior to seeing the comments here and I have some additional thoughts. What ever the word/words are that best defines the need to remove pathogens from surfaces to reduce HAI’s.needs to be chosen now and used consistently. The cleaning process, technique (scrubbing, rubbing and wiping) and timeline (how often does this process need to be repeated) to effectively reduce the spread of pathogens needs to be determined and implemented now. Educational programs for all who are responsible and accountable for infection prevention and decontamination need to be developed and easily accessed for ongoing education and review. One of the first hurdles to overcome is that most of the surfaces currently in our facilities are difficult if not impossible to clean. Sad to say but true. We need to understand how each of these surfaces needs to be cleaned and with what. Standard requirements for the future selection of surfaces needs to first be based on the ability to clean them. All surfaces need to be cleaned. There is no such thing as self cleaning surfaces this has been misunderstood. This is a big task to undertake for sure and I am grateful there are discussions like this taking place. I agree with John that meaningful cleaning is achieved with the removal of pathogens from surfaces by cleaning and / or disinfection so term ‘decontamination’ will be more appropriate and logical. Thanks for the responses. Regards “decontamination” I did note that, in the AJIC supplement paper on surface wipes, Jean Yves Mailard consutently used the term decontamination – he had to use this term because he was talking about testing the combined cleaning and disinfectant action of wipes. I have no problem with this term, but I do not think I could use it to communicate with consumers (or ineed hosptal cleaning staff) because the public associate it with toxic chemicals or nuclear waste, not microbes. We still have the word santize – but again in UK at least it is asociated with toilets. So maybe the need is to agree that it is not acceptable to use the word “clean” when talking about “reducing microbes levels to a level acceptable for preventing disease transmission” but that, unless it is being used to describe the process of making a surface visibly clean, a qualifier should always be used appropriate to the target audience – which could be decontamination, hygienically clean, microbially clean or – as I finally got agreement with a consumer focussed group “germ protection clean”. I hope this information is helpful. Thanks for allowing me to share some of my knowledge as a innovator of new green chemistry technology for hand hygiene and hard surface disinfectants. The disinfecting can be compared to hand hygiene. Hand hygiene , when hands are soiled they must be washed , to remove soil load. The same principle applies with disinfectants , Unless they have proved they are a one step clean & disinfect item. Then there is the Dwell time for disinfectants , and that dwell time is the big difference to sanitizers. The same can’t be said for disinfectants because of the dwell time. It all depends on the area , and next potential touch. Disinfectant that is a dual claim , cleans & disinfects, label / use , MUST ALSO be adhered to with dwell time = time it takes for germs to be killed…Most are 10 minutes, unless label states otherwise. Don’t be fooled by sale and marketing claims. What’s on the label , is the fact. Unless its on the label,you should ignore the sales and marketing pitch. If a vendor has a legitimate claim, it will be on their label. For hard surfaces disinfectants, this claim could be hours, days, or weeks, depending on the chemicals used which leave a residual trace chemical / s behind on the surface. Again , this chemical trace , is not a continual kill residual, its a preventive for regrowth, NOT a active continuous kill. Yes Rinse off – most disinfectant require a RINSE OFF , before people are to re touch that surface, due to the toxic chemical exposure…then where do the chemicals go when they are rinsed off ? I am somewhat dubious of the ‘cleaner-disinfectant’ claims of some, but share the reservation that a two step process (i.e. clean first then disinfect) is unlikely to be feasible in the real world. It’s hard enough to get a liquid agent applied to all surfaces in a room once, let alone twice! So, I think we should pursue the idea of effective ‘cleaner-disinfectants’ but we need to make sure they work, and that required contact times are possible. In reality, is a 10 minute contact time ever achieve in practice? Probably not. We need to be seeking 1 minute contact time products. Thanks to Sally for initiating this interesting discussion . She knows my opinion on this matter since long time . We are on the same line from the technical point of view , my personal remark does only concern the use of the qualifying term ” hygienic ” . In many european countries there is an official definition of ” hygiene ” : medical domain dealing with the relationships between environment and health , including of course microorganisms , but also chemicals , radiations etc … Thus it is not pleasant to see in some supermarkets a linear called ” hygiene ” selling toilet paper and other articles only related to ” corporeal hygiene ” , far away from what we are trying to teach or advice . For this reason I will favour the use of any other adequate term ( in France and Germany : desinfected ) . In our countries , I do think the general population is really able to distinguish ” clean ” and ” disinfected “, because , even in supermarkets , the information is perfectly clear between the use of cleaning agents and disinfectants . This is most interesting and stimulating. Thank you for the invitation to participate in this Blog. I have such respect for this group of intellectuals in this forum. All of whom are identifying the multiple core issues which must be addressed. How to prioritize them is the conundrum. We speak of the ‘chain of infection’ and ‘breaking the links’ of cross-contamination and infection. How many ‘links’ have been identified in the chain? How long is that chain of infection? This, to me is crucial. In our company, we consider three prime targets, albeit there are areas within these targets to further identify and attack. The ‘host’: the human component. By nature we are carriers and cross-contaminators. Hands, clothing, stethoscopes, etc. These subcategories are unto themselves a problem, however, the largest of the human factor as we all know is ‘hand-hygiene’. In of itself this is a study. Fortunately, there is a tool that addresses 95-99% of the issues we see with hand sanitizers. With over 700 hand sanitizers on the market in one form or another, one must stand out as the holy grail. What would that look like? When we consider the reason people stray from using hand sanitizers it typically comes down to comfort. Most hand sanitizers are uncomfortable to use. This is due to: dryness, sticky residue; allergic reactions; poor drying times, lack of penetration, and most importantly the lack of active ingredient to be effective. Did you know most hand sanitizers test their active ingredient separately, and only invitro? Then they add it back into the filler ingredients we see as gels, foams or lotions. These active ingredients do not sanitize and they take up the majority of the volume in the bottle leaving marginal room for the active ingredient. What is needed is a formula that is tested invivo and invitro. The final product needs to be tested both invivo and invitro; not just the active ingredient. The properties of the formula must coincide with the needs of the HCW. For example; Penetration without a lot of manual massaging; anti-septic superiority; tissue restorative properties; clean and fresh after effect; and non-drying. It should be designed for the fast pace of the medical environment, highly effective and should encourage use. We recommend a four ingredient ‘alcohol wash’ formula that addresses all these issues. Enough said for now on this. The next area for breaking the “link” in cross-contamination is the facility itself. It is obvious we have chemicals that will kill just about everything we encounter….including ourselves. That not being an option, we attempt to be ‘selective’ regarding the chemicals we choose for a given purpose. Most chemicals are toxic, caustic, and often require special handling or protective apparatus for use. This in itself is limiting when attempting to address the subjects of this forum and getting the coverage needed to access hidden fomites. However, the hospital facility stands supreme as the incubator and petri-dish from which the ‘brew’ develops. How then can one sanitize and clean thoroughly, regularly and consistently when the products used have such limiting hazards and contraindications for use. This truly limits the ability of the EVS and facility maintenance staff to effectively reach areas that are sensitive: patient rooms; neo-natal; CCU; ICU etc. The concept of HCW’s cleaning their areas has been touted with little enthusiasm due to a variety of reasons, one of which is health and safety. Imagine, however, arming HCW’s with a sanitizing solution 50% more powerful than bleach with a reaction time 3,000 faster and not any more harmful than tap water. Can you see the value in this? Without any contraindications for use (except electronics) a facility could be ‘washed’ daily without harm to anyone. Aqueous Ozone (O3) provides this capability. Discovered in 1894, Aqueous Ozone is currently used to sanitize our food and water. Our market base includes: hospitals, elder care facilities; Hotel resort casinos; spas; day care centers; major league sports franchises; city operations centers; schools; universities etc. They use is to sanitize and clean: glass; tile; grout; carpet; floors; toys; kitchens; porcelain; privacy drapes; showers; etc. Only recently has the half life of O3 been increased from previously 20 minutes to now 24 hours. After this period, O3 reverts back into ordinary tap water to be used for other purposes. There is no waste or danger-unless you are a bacteria, virus, spore, mold, mildew, fungus or protozoan. Fresh O3 in bottles placed strategically throughout the facility would allow the employee base to help take charge from this vantage point and sanitize constantly. We have elder care facilities that fill back-pack sprayers and treat showers or other large community utilized venues. Aqueous Ozone has even been used for post-op periodontal surgery to treat bacterial infections. Combined with EVS and facilities, employees can make a huge impact against cross-contamination with access to O3. Finally, we have identified the pathogen ‘superhighway’: the floors. Let your mind ponder this avenue for cross-contamination from one end of the hospital to the other and everywhere in between. This is an area that really needs monitoring. We propose a microbial resistant floor coating that lasts a minimum of 24 months, eliminating burnishing, stripping, waxing, or polishing (and the labor to accomplish the task) and can easily be washed with cold water or more appropriately O3 for sanitation and ease of cleaning. These mechanical floor maintenance operations of polishing and burnishing, “aerosol” floor debris. This debris contains epithelial residue, bacteria, virus, and a host of micro-scopic ‘nasties’ that will float into the air where they settle on surfaces and are transferred to other areas of the hospital via a host of transportation methods. This floor coating eliminates the process. These three major areas we have focused upon in order to assist reducing cross-contamination. They are cost effective and sound technologies. To debate whether they are the best technologies available is not important. What is important is they are effective all or in part, unto themselves. In combination, they offer a level of protection that is extremely beneficial for the recipient and end user. This is indeed a very interesting and productive conversation. Many terms are used interchangeably by scientists to describe the process of removing or inactivating microbial life from fomites and hands. I like the suggestion to use the word DE-CONTAMINATION as a general term. I also like the word SANITIZE (which includes both cleaning and disinfection) But if we really want to break the chain of Infection we really need to EDUCATE health care workers and consumers on what is microbiologically clean as opposed to visibly clean. As and infection Control Microbiologist I found out through the years that basic knowledge and understanding is lacking most of the time on evidence based approach to breaking the chain of infection. i.e 1. we need to move away from emphasizing sanitation of floors, bathrooms and focus on HIGH TOUCH SURFACES both at home and in the hospital area. 2. We need to talk about sanitation TECHNIQUES and MEANS of doing it 3. and need to address Frequencies and i.e how often to sanitize etc. To put it in simple terms as taught in foodservice 40 years ago. A clean dish can have bacteria growing and a dirty dish can sterile. but to so many this does not make sense. Like the difference between aseptic and sterile is also misunderstood. I am surprised at comments (Steve, Kenny) which set cleaning quite appart from disinfection, when, in reality, they are all part of the same process – which is toreduce contamination on hands and other surfaces to “levels acceptable for the defined pupose”. In this surely both play a part. The cleaning may – say- reduce contamination by 1 -2 log whilst the disinfection may then reduc it by a further – say – 4 log – giving 5-6 log in all. The 2 steps are also synergistic because the absence of soil will increase the extent of the log reduction due to disinfection. In reading published papers on hygienic cleaning/ decontamination of surfaces, I see that they almost always seem to talk about the cleaning part as being necessary to ensure that the disinfectant is not inactivated, where in reality it is an active componenet of the hygienic cleaning (log reduction) process? – First: CLEANING : It is the most important step. In this process the remnants of organic and inorganic matter are removed. It can be manual or mechanical and involves detergents. – Second : DISINFECTION : a necessary step when cleaning alone is not sufficient for the surface or item is safe to re use or further management without irrigation to produce infection . The disinfection may be accomplished by thermal or chemical processes. One thing that I have not seen discussed here is that housekeepers and EVS management are frequently not trained in matters relating to infection control. The best chemicals in the world will not work if the EVS department has little to no training on how infections are spread and how to properly clean. I have been musing over Philippe’s comment that the “general population is able to distinguish ” clean ” and ” disinfected “, because , even in supermarkets , the information is perfectly clear between the use of cleaning agents and disinfectants ” — and I am not sure I agree with him. Consumers buy soap as a cleaning products -used to clean hands, but they are also advised to handwash with soap e.g before meals to “dis-infect” hands (even when they actually look clean). Whilst doing some media work during the flu scare, I found that no-one knew how this worked i.e soap and rubbing detaches the germs but it is the rinsing that takes them off the hands. I assume they thought the germs just “disappear”. In the same way there was no concept that a hand sanitizer could do the same job in situations where there was no running water – but that this involves killing or inactivating germs in situ. Consumers buy “cleaning products” to launder their clothing. Our recent review shows that reducing skin and faecal etc flora from clothing contributes to preventing spread of infectious and antibiotic resistant strains between family members and on elsehwere. i.e Laundry products are hygienic cleaning as well as social cleaning products. During a recent flood disrupted train journey, I was looking again at the published literature. As I see it, the chief confusion is frequent use of the word “cleaning” generically to describe application of mechanical removel or inactivation (or both), but then also using the same word “cleaning” to describe the mechanical detergent based removal process – and many times I really was not sure which they meant. I was interested to discover Carling using the term “disinfection cleaning” to distinguish from “cleaning alone”. He also used the term “disinfection hygiene” in one of his papers. Thanks Sally and Jon for a thought provoking discussion. The definition and use of terms such as disinfection and sanitisation has been a problem for many years. EN 14885 Application of European Standards for chemical disinfectants and antiseptics gives the definition of chemcial disinfection as “reduction in the number of micro-organisms in or on an inanimate matrix, acheived by the irreversible action of a product on their structure or metabolism, to a level judged to be appropraite for a defined purpose”. Probably not much help to end user! The confusion between cleaning and disinfection can be seen in the FSA Guidance E. COLI O157 Control of Cross-Contamination. This Guidance is under review and I have made some suggestions to clarify that cleaners are not disinfectants. This is particularly important in view of the Biocidal Products Regulation which requires registration of disinfectants in Europe. I like the word decontamination but it is used mainly in association with removal of radioactive or toxic materials so might not be easy to use for the home environment. Aqueous Ozone (O3) is harmless to use. It is 50% more powerful than bleach and may be used on all surfaces….think about the benefits. On all surfaces including people. 99.9999% effective. Secondly, an alcohol ‘rinse’ will take out a large majority of pathogens. Gels, Foams and lotions won’t provide this level of efficiency. Art agree that O3 is a great biocide. Can’t agree that it’s harmless to use though – if a biocide is harmful to microbes, it will be harmful to us too! Also, I have concerns about the stability of O3 for us as a surface biocide. Note your interesting website, thanks.